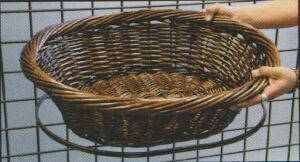 All-purpose basket gives retailer the ability to display light to medium weight packaged or loose goods. Sell more in less space. 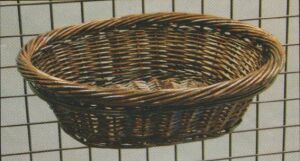 Oval baskets, made of dark brown willow, oval support grid bracket included. Color: dark brown with bronze bracket.